It is not generally appreciated (except by railway history enthusiasts) that before the formation of the London, Brighton and South Coast Railway proper (1846), the railway line to Shoreham (initially the line ended here and was not extended to Worthing until 1845) was the first part of the then London & Brighton Railway to be opened (1840) for traffic – one year before the line from Brighton to Haywards Heath and eventually to London. 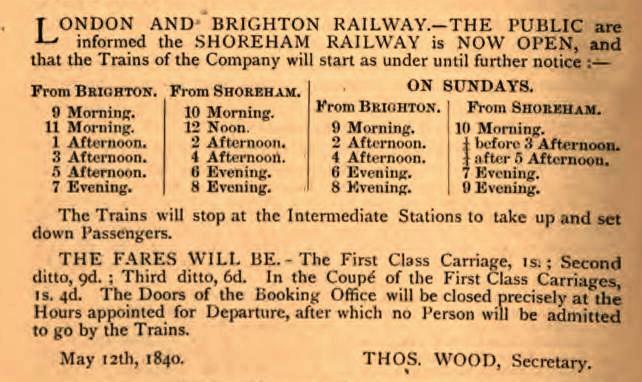 Consequently, the opening of Brighton station was on the same day as the opening of the Shoreham line and this took place on Monday, May 11th, 1840. Despite the restrictions of the Second World War the centenary of the event was marked by an exhibition at the Brighton Pavilion in 1940 and amongst the Winton family albums and scrapbooks is a guidebook of the exhibition describing the events leading up to and including the original opening and detailing the exhibits on display. This article brings together written records of the 1840 opening and some of the illustrations listed in the guidebook. 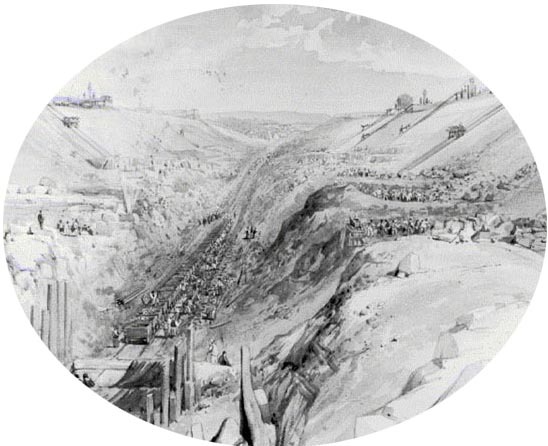 The line was cut through New England Hill and many hundreds of workers were employed in the massive job to excavate the chalk and earth, first through the hill and then on to Hove, Portslade, Southwick and Shoreham. 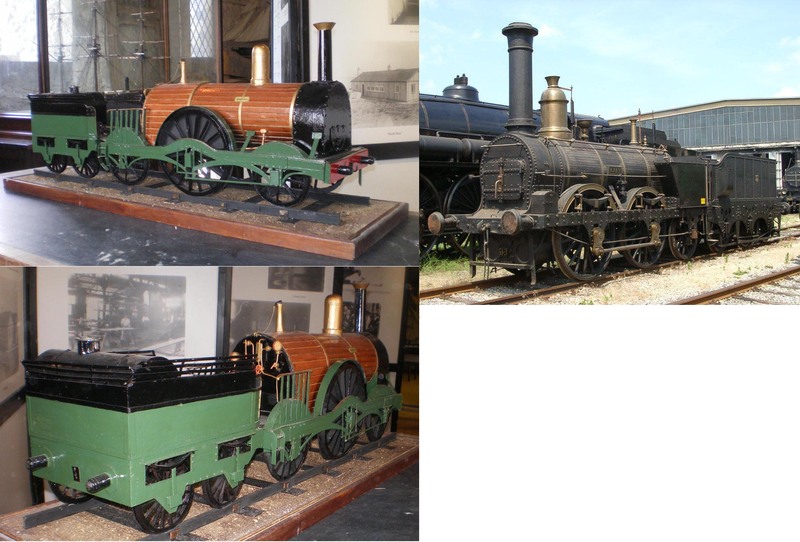 To assist in this two locomotives were purchased by the London & Brighton to transport railway lines, sleepers and carry away earth and chalk excavated during the construction of the line. Both were made by Jones, Turner and Evans at their Viaduct Foundry, Newton Le Willows in 1839. 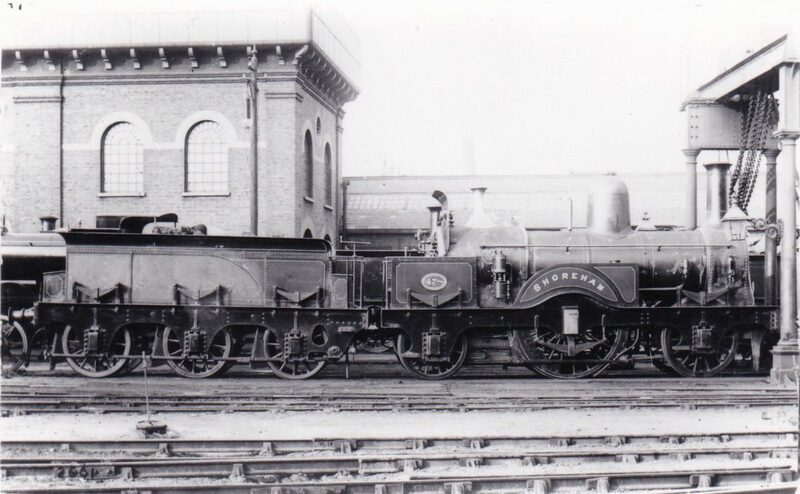 One was a 2-2-2 wheel configuration (from the side the wheel arrangement of the engine looked like oOo) numbered 1 by the L&B and named ‘Brighton’, the other was ‘Shoreham’ an 0-4-2 (OOo) configuration and numbered 2. 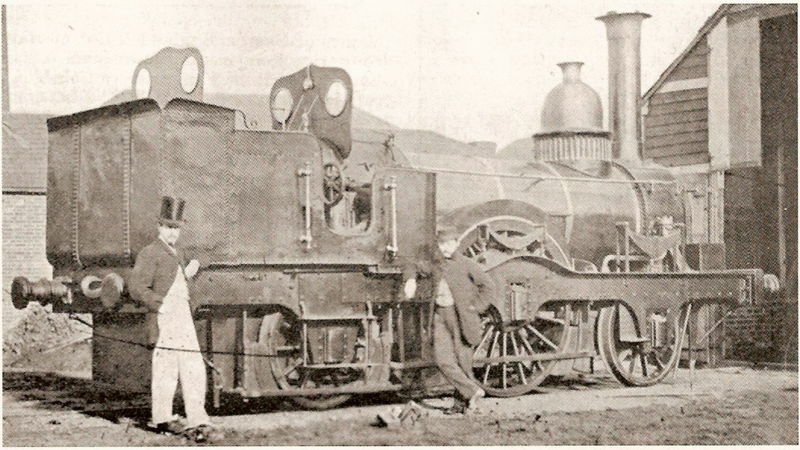 Known as the’ Jones Singles’ (they only had one pair of driving wheels on one axle as did most locomotives then) – ‘Shoreham’ was later taken over by the South Eastern Railway Company in 1844. 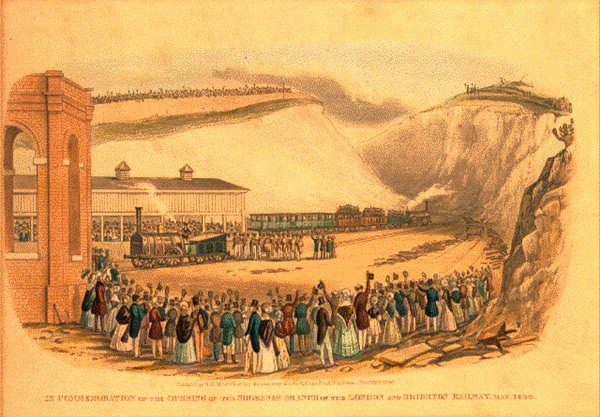 “The first portion of the Company’s system opened for traffic was that running between Brighton and Shoreham, the event taking place on Monday, May 11th, 1840. Most of the Directors were present on the occasion and there was a very large number of spectators. No one was admitted inside the Station without a ticket but 1,000 of these having been issued, entitling the bearer to take the trip gratuitously there was not for short of that number who availed themselves of it. The first train started about three o’clock, amid the strains of the Lancers’ Band and the cheers of the spectators, to the majority of whom the Railway train was a “new sensation.” The trip occupied eleven and a half minutes the return trip taking a trifle longer. The train continued running throughout the afternoon, and the scene down the whole Line was exceedingly animated, crowds of persons assembling at the different points to witness its passing. “Business” commenced next morning at eight from Shoreham, the train returning from Brighton at nine. During the day 1,750 passengers were carried, not a few visiting the Swiss Gardens, where the opening of the Railway was celebrated by a grand féte. 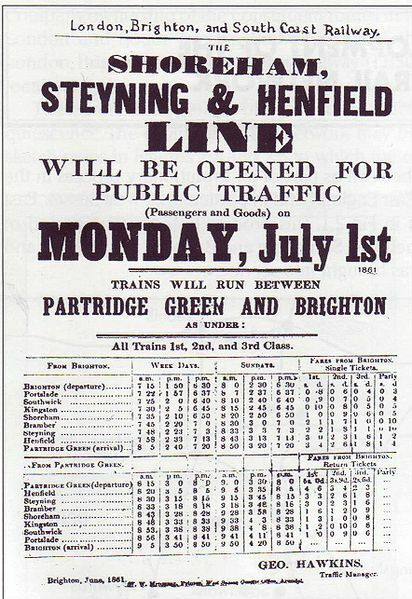 “The engine selected for the first trip was `Kingston’, conducted by Jackson, the engine driver who has been employed for the last twelve months In working the Brighton and Shoreham for the removal of earth along the line. Next to the tender were two first class carriages, each containing about 40 persons, consisting of a number of the Directors, and the principal tradesmen and local officers of the town. Then followed two second class and two first class carriages, principally to the use of ladies and containing 20 persons each. The rear was brought up by three of the luggage wagons, which had been fitted with forms containing accommodation for 70 other passengers, making the number taken In the first trip about 230. Precisely at 3pm the whistle was blown but a locked ‘break’ (sic) made a delay of 11 minutes.” (the report fails to include the fact that it was the L & B’s own engineer John Urpeth Rastrick himself that had to take leave of the directors and dignitaries to release the engine’s jammed brake) “The train ‘passed the station house at Copperas Gap at 18 minutes past three, the entrance to the harbour at 23 minutes past three and arrived at Shoreham at 23 minutes after three’. During the day upwards of a 1,000 people travelled the five and a half miles behind the engines “Kingston” and “Eagle”. Kingston was the locomotive to pull the first train from Brighton to Shoreham but both that and the Eagle shared the trips up and down the line that day. Kingston was a 2-2-2 configuration engine built by Sharp Roberts & Co at their Atlas Works in Manchester and delivered to L & B in 1839. It was designated engine number 5 then re-numbered 39 after the company became LB&SCR. EAGLE was also a 2-2-2 configuration but built by G & J. Rennie in 1840. It was number 6 with L&B and became no.39 with LBSCR.– this design was susceptible to explosion and the sister engine ‘Vulture’ did just that at Brighton station. 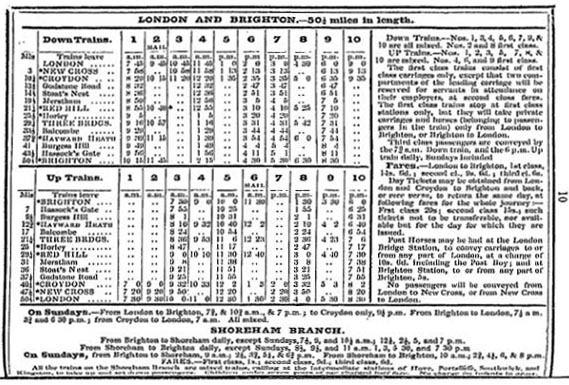 Timetable from ‘Bradshaw’s Railway and Steam Navigation Guide’ number XVI from 1843. From Brighton to Shoreham daily except Sundays 7½,9,10½ a.m.;12¼,2½ ,5, 7 p.m.
Shoreham to Brighton daily, except Sundays 8½,9½,11 a.m. 1,3,5 30, and 7 30 p.m. On Sundays, from Brighton to Shoreham, 9 a.m. ; 2¼, 3¾, 5¼, &6¾ p.m. From Shoreham to Brighton, 10 a.m; 2¾, 4¼, 6, & 8 p.m.
FARES. – First class. 1s; second class 9d; third class 6d. 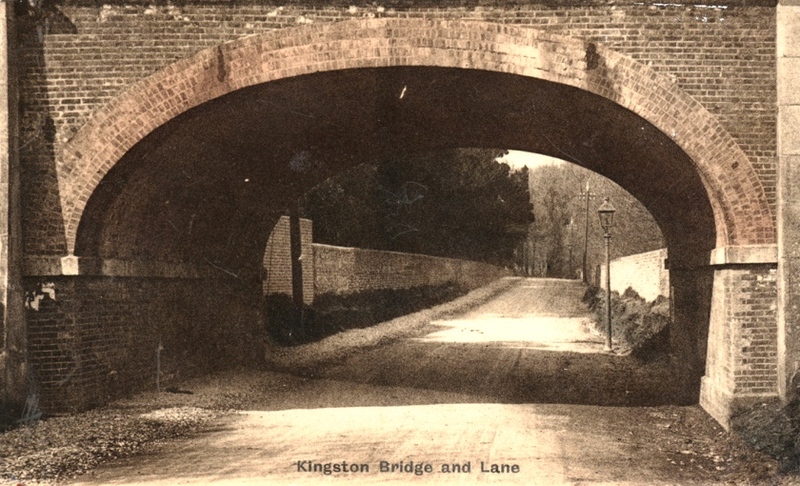 Bishop also mentions Kingston, not so much as a station stop but as a depot for refuelling:- “stations are erecting at Hove and Kingston, at the latter coals and merchandise will be stored that are intended for conveyance by the trains, coke ovens have also been constructed at Kingston for preparing fuel for the engines”. Of course, it was never intended that the line would remain with Shoreham as its terminus and the next town on the agenda was Worthing. The River Adur however was a major obstacle and it was necessary to construct a wooden trestle bridge to carry the line across it. 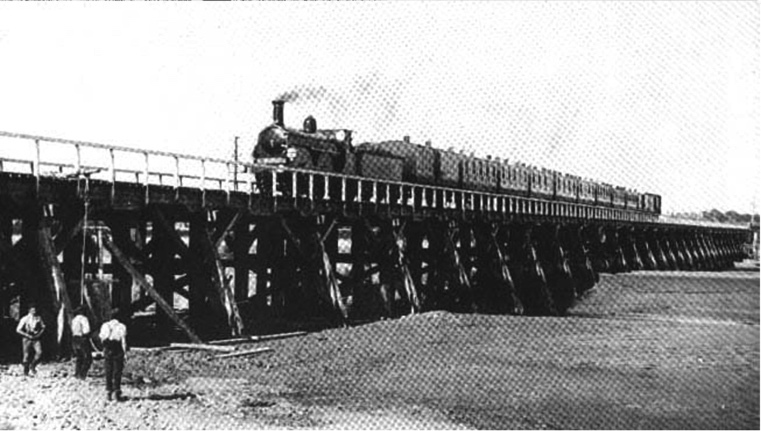 Years later after the wooden bridge had been replaced Cheal wrote of it:- “The original trestle bridge over the Adur becoming unsafe, was replaced about 1896 by the present steel bridge designed by Sir John Aird. The supporting cylinders are filled with concrete and some of them find a firm footing 70 feet in the river-bed. With this fact in mind, it is surprising that the former bridge of wood had served its purpose for so many years. 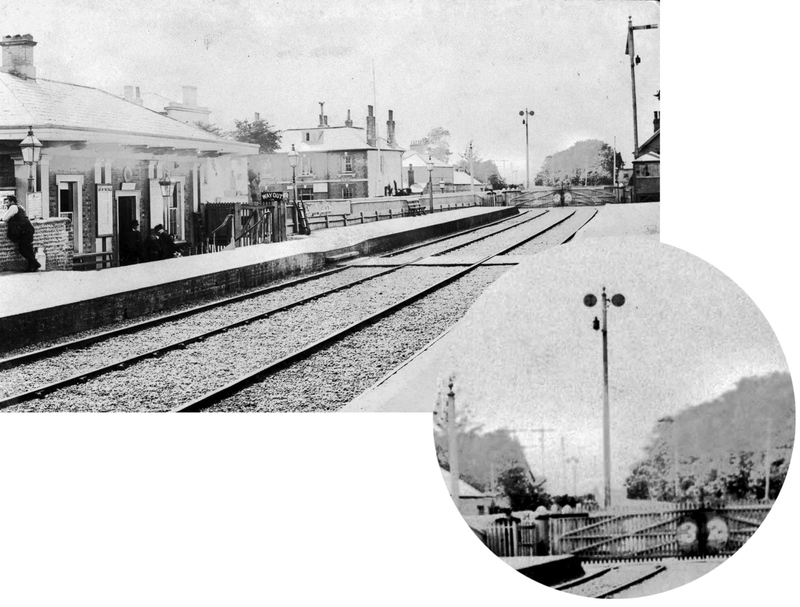 Eventually, on November 24th, 1845, Worthing received its first railway passengers and work on the line continued to Chichester which it reached on June 8th, 1846. The junction from Shoreham to Partridge Green was opened 1st July, 1861 and the extension from there on to Horsham on 16th September, 1861. 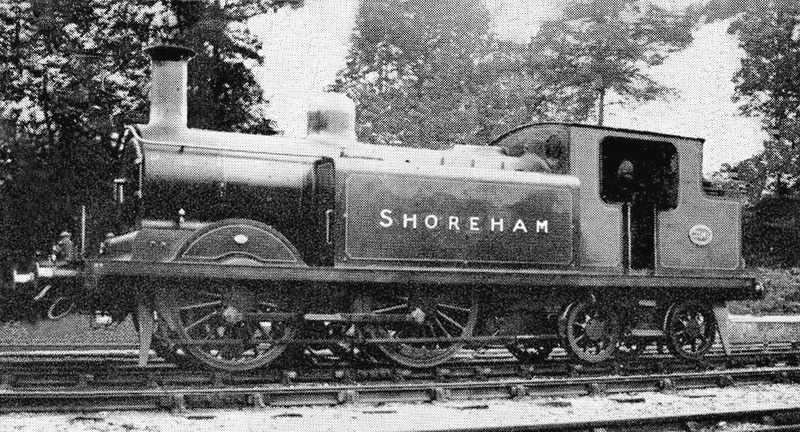 There were three engines named ‘Shoreham’ the first in 1839 was used in the construction of the Shoreham branch line and has already been described. The second was built by Nasmyth, Wilson and Co in 1867 and was one of six similar engines purchased by LBSCR known as the Nasmyth Wilson Singles. These were 6ft.6in express engines of 2-2-2 configuration and ‘Shoreham’ was the company’s engine number 238. The third was designed and built by R.J.Billinton at the Brighton Works. We know more about this engine:- it was an 0-4-4T configuration bogie passenger tank engine, numbered 389 intended for country and semi-fast trains and for the technically minded – coupled wheels 5ft6in, cylinders 18in x 26in, working pressure 160lb, heating surface 1,203.44 sq.ft, grate area 17.08 sq.ft and weight in working order 48 and a half tons. Tanks were round-edged type with a combined capacity of 1,161 gallons. It was completed in May of 1894, designated the number 389, later becoming known as one of the Class D3 tank engines. Competition between railway companies was intense, particularly between LBSCR and the South Eastern Railway and in 1895 this particular locomotive carried out a ‘specimen’ run pulling a load equal to 9 and a half coaches on the Oxted line and managed just under 57 minutes including dead stands at an agreed number of stations and stops – this emphasised the LBSCR’s practice at the time of fast trains over shorter distances. This engine was eventually taken over by British Railways in 1948.